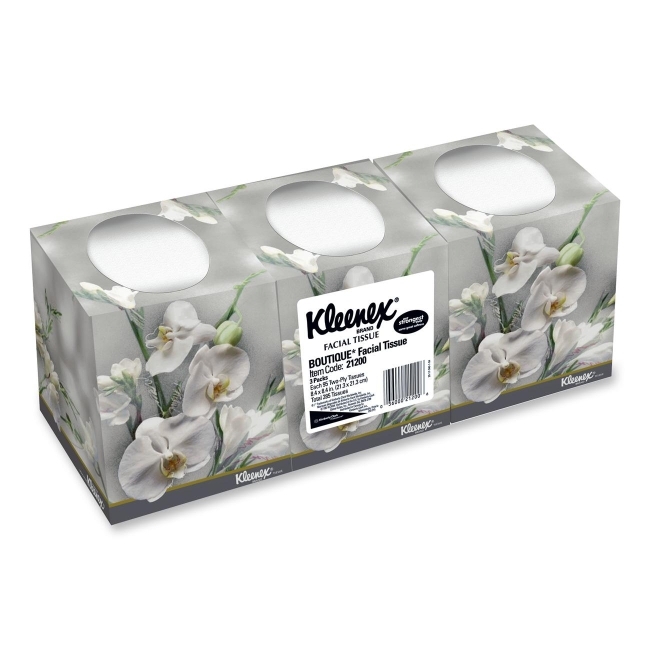 Kleenex Boutique Facial Tissue Bundle includes tissue boxes with a signal feature that alerts you when its time to change the box. Each box offers an upright and decorative cube design. Premium facial tissue inside has softness and strength and absorbency for your everyday needs.